Sunday, September 10, 2:00 - 3:30 p.m. It takes years to become a proficient sofer, a scribe trained to write Torahs and other holy Jewish ritual items. 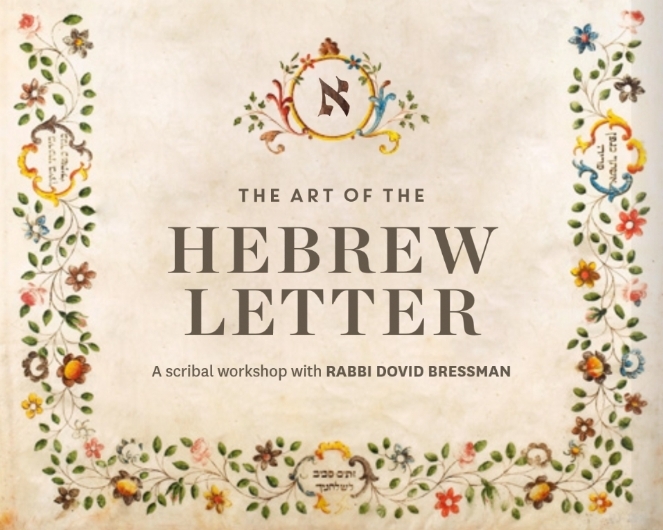 Come and see up-close how the Torah and mezuzah letters are written and try your hand at it as well. They may look black and white, but the letters of the Hebrew alphabet contain deep secrets and meanings. Uncover the mystery of the ancient script. Rabbi Dovid Bressman is a well known scribe (Sofer) from Los Angeles. He is the author of the acclaimed book, "Mezuzah: Divine Protection".